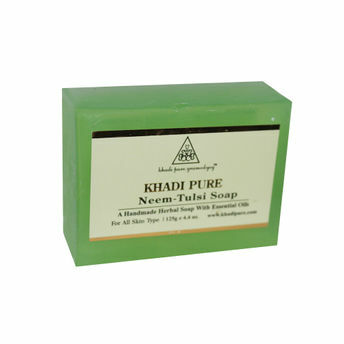 Khadi Pure Gramodyog Herbal Neem Tulsi Soap helps clean, tone and nourish the skin. It supports to fight skin dryness and retain skin moisture. 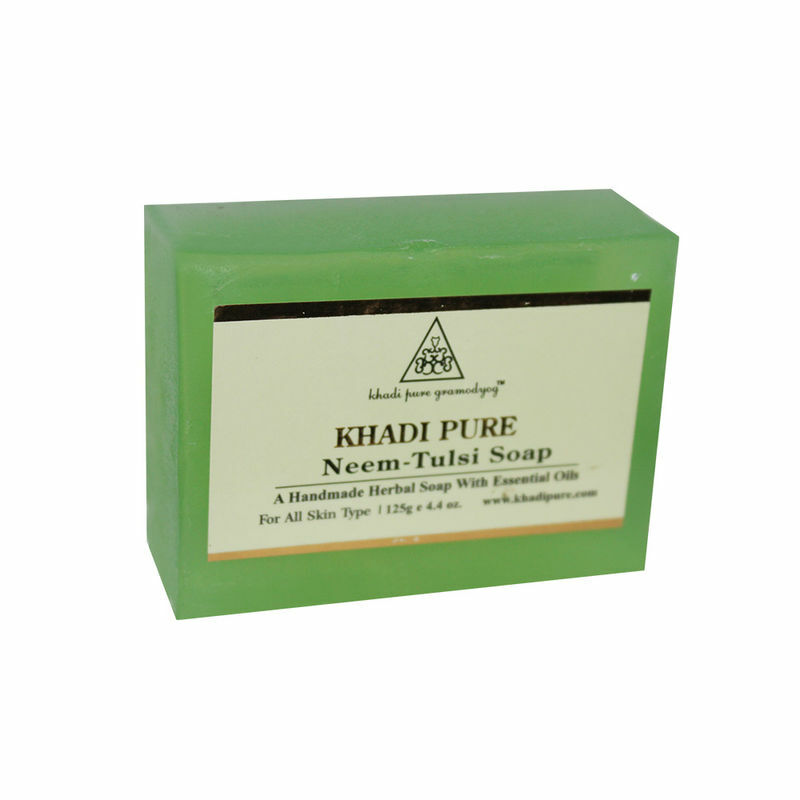 It is an anti bacterial ayurvedic soap.